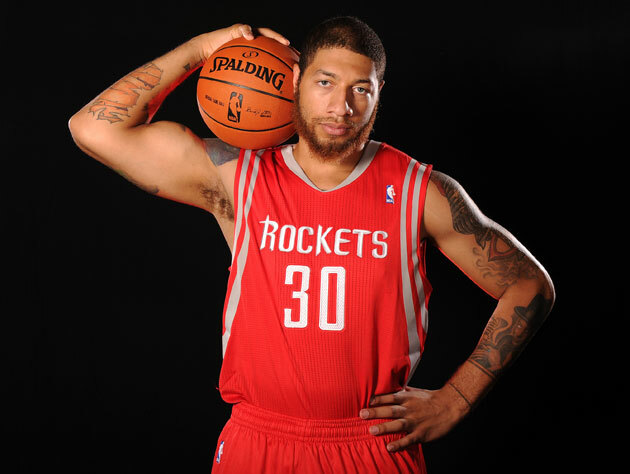 When this video — heck, this documentary — was released on Wednesday morning, Houston Rockets rookie forward Royce White quickly shot up the charts amongst NBAniks as Everyone's New Favorite Player. Videotaped teary-eyed draft night exultations will do that to a fan, they always have, but White's story scans a little differently. Like an increasing number of people from all walks, Royce White suffers from an anxiety disorder. It's true that he's uncomfortable while flying in an airplane, nothing exclusive to him relative to others, but anxiety shouldn't be dismissed with a throwaway catch-all like "hates to fly." The onset of symptoms can strike at any time, spurred on by even the simplest of professional or domestic expectations, or in Royce's unfortunate (and documented, in this video) situation, the full judgment of a gym full of onlookers as his NBA career takes flight. Takes flight, we should remind, after an NBA draft that could see Royce selected anywhere between the late lottery or second round on draft night. And, oh, by the way? Royce? Even though your draft status is the most fluid and undefined of all the prospects, could you go out and eat and schmooze in full view of all who came out to the gymnasium, while teams make career-defining decisions about you based more on your admitted anxiety issues than your gleaming and NBA-worthy all-around play? Thanks. Iowa State coach Fred Hoiberg, himself a decade-long NBA veteran, isn't off in his proclamation that White's draft day status was unprecedented. There have been other versatile forward types that seem to bounce from position to position effortlessly, seemingly a welcome asset, but often an asset that makes NBA GMs (looking for that orthodox square peg) uneasy when it comes time to sell a player's virtues to a staff and fan base. There have been players who have been pegged to go anywhere between the late lottery and second round, like White, because once the top prospects are selected teams often tend to mix up their drafting ethos from squad to squad, and players can fall despite their potential contributions. There have been players that come with personal traits that GMs undeservedly rank as mitigating factors. There have been players that just plain fall, for no reason. White, heading into the draft, seemed to sadly roll all those worries into one. Completely unfair for someone working through something that could either completely debilitate his career through no fault of his own, or lend him the focus needed to become the sort of player that turns a pro franchise around. The human brain, and the chemicals and enzymes and influences that shoot in and out of it … there's just no end to how it can help, and hurt. Watching this video helps. Not only does it end with the feel-good note — White was worried about slipping out of the first round after his agent relayed a list of teams that were passing on him, only to be taken 16th overall after Houston Rockets coach Kevin McHale (who signed Hoiberg when he ran the Minnesota Timberwolves) convinced the Rockets' draft room to select White — but it adds insight. No matter the amount of expertly calculated medication, the self-awareness, and the talking-throughs with professionals, these sorts of things are hard to overcome. They pop up when you least expect them, or sometimes happily disappear when it seems obvious crushing anxiety is set to take hold. Whatever happens from here on out, root for the guy. If you don't feel like it after watching this documentary, something's gone wrong.